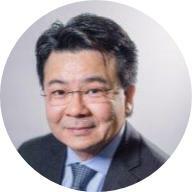 Dr. Craig D. Shimasaki, PhD, MBA is President & CEO Moleculera Labs, Inc.
Dr Shimisaki is a scientist with over 33 years of clinical diagnostic and therapeutic R&D experience, starting his career at Genentech. During his tenure he has been involved in the research, development and clinical testing of neuropsychiatric drugs and diagnostics, genetic testing for predisposition to non-familial breast cancer, a gp-120 HIV vaccine, and influenza and RSV diagnostics and therapeutics. He co-founded Moleculera Labs with Dr. Madeleine Cunningham, an autoimmune neurobiology clinical laboratory based upon her 20+ years of research on infection-triggered autoimmune disorders. His focus has been to translate basic research discoveries into acutely needed medical products for patients who need them. He has led five clinical diagnostic tests through FDA approval process and is a co-inventor on several medical and diagnostic patents. Dr. Shimasaki is an Adjunct Professor at the University of Oklahoma. He has authored and edited two books “The Business of Bioscience: What Goes Into Making a Biotechnology Product” and “Biotechnology Entrepreneurship: Starting, Managing and Leading Biotech Companies.” He received his BS in Biochemistry from University of California at Davis, his PhD in Molecular Biology from the University of Tulsa, and his MBA from Northwestern University, Kellogg School of Business. 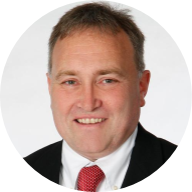 Dr. Schwarzbach is Founder and Medical Director at ArminLabs, Augsburg, Germany. He presented evidence of the different bacterial and viral infections that can lead to syndromes that are often labelled unexplained or psychiatric in nature, and gave insights from his three decades of experience in this field. He explains algorithims for deciding which to test for, and also answered a number of questions in a live Q&A. Please see https://aonm.org/armin-labs/ for background information on this lab and its tests. As a Medical Doctor and specialist in laboratory medicine with three decades of experience in clinical medicine and laboratory testing, Dr. Schwarzbach specialises in laboratory medicine in infectiology, microbiology, immunology, hematology, clinical chemistry, endocrinology and gynecological endocrinology. Professor Dr. med. Katharina Pachmann is the founder of the Maintrac system of identifying circulating cancer cells in a “liquid biopsy”, and runs the Maintrac laboratory in Bayreuth, Germany, together with Dr. Ulrich Pachmann and a staff of 45. As both a medical doctor and research scientist, she has been conducting studies in this field and refining related techniques for over two decades, and has authored over a hundred scientific publications on the technique (https://aonm.org/scientific-articles-and-studies/). 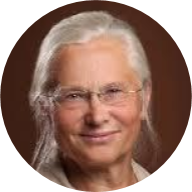 She received her PhD from the Institute for Haematology at the Society for Radiological Research, Munich, and worked as the Head of the Department of Experimental Haematology and Oncology, Friedrich Schiller-University, Jena, for many years. She is a visiting scientist at the University Clinic, Graz, Austria, and has also served in the same capacity at MD Anderson Cancer Center Houston Texas Section of Molecular Hematology and Therapy.